On Saturday 6 April 2019, during Queensland Youth Week, more than 400 people came together to take a stand against youth homelessness and show Brisbane’s vulnerable young people that they care. 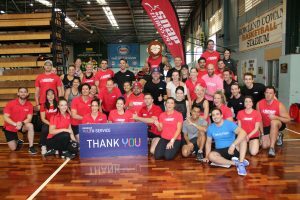 Brisbane Youth Service would like to extend a big, heartfelt thank you to everyone who participated and supported the Burpees for BYS Guinness World Record Challenge. We may not have broken the record, however, it was our biggest and most successful awareness-raising campaign yet and raised over $10,000 in funds raised for young people experiencing or facing homelessness. The much-needed funds will provide vital services for young people in crisis including emergency accommodation, transport fares, food, toiletries, health care and Get On Your Feet backpacks. 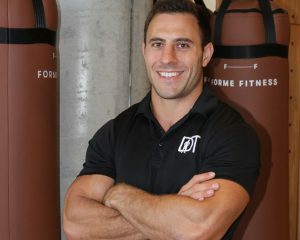 A big thank you and special mention to the Founder of Burpees for BYS, Dave Kramer (a.k.a. Dave the Trainer) for his incredible passion and commitment to ending youth homelessness. Without Dave there would be no Burpees for BYS and we are very proud and grateful to have his support. Special mention also to event sponsor Snap Fitness AU and hosts Brisbane Bullets and Southern Districts Basketball Association. A thank you must also go out to those in the media who helped promote the event, including 4zzz’s Only Human, 4zzz’s Brisbane Line, 4zzz’s Zedlines, Quest Newspapers, CourierMail online, Triple M and ABC Radio Brisbane.